Get ready because you’re about to be starving or want to plan a massive road trip to New England. If you are unsure of what states are actually in New England, don’t worry, I got you: Connecticut, Maine, Massachusetts, New Hampshire, Rhode Island and Vermont. 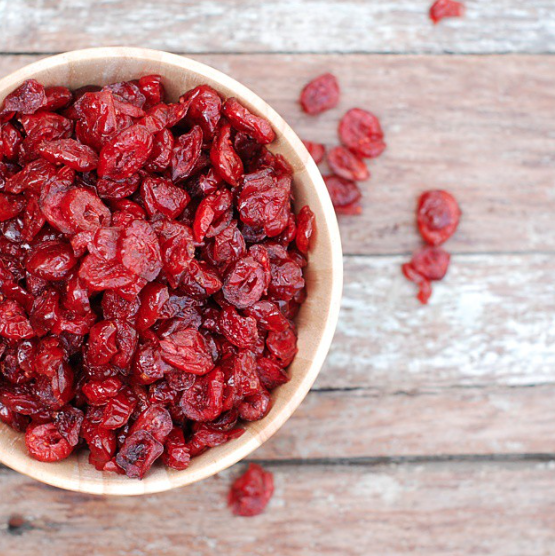 Here are 38 foods from NE that you need to eat, like, yesterday. Thank me later. 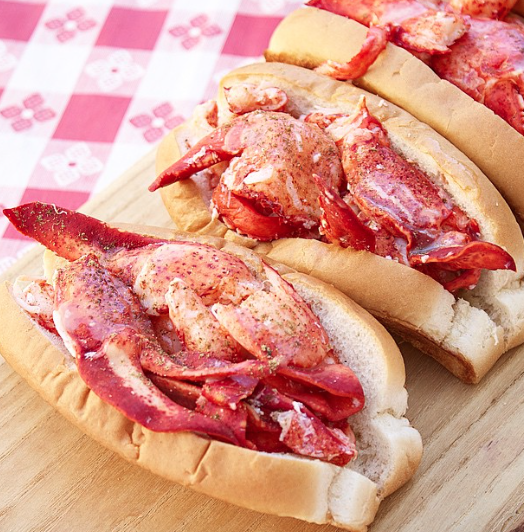 Lobster rolls: the epitome of summer in New England. If you don’t have at least ten of these over the course of the summer then you should probably move to New York… just saying. Did you actually know that lobster was once considered prison food? Yeah, me either. We are very thankful for Maine and its amazing lobster that we can’t live without. Fluff was first made in Massachusetts. The first Fluffernutter sandwich dates back to World War I, but it wasn’t called that until an advertising agency tried to coin the term to increase revenue. 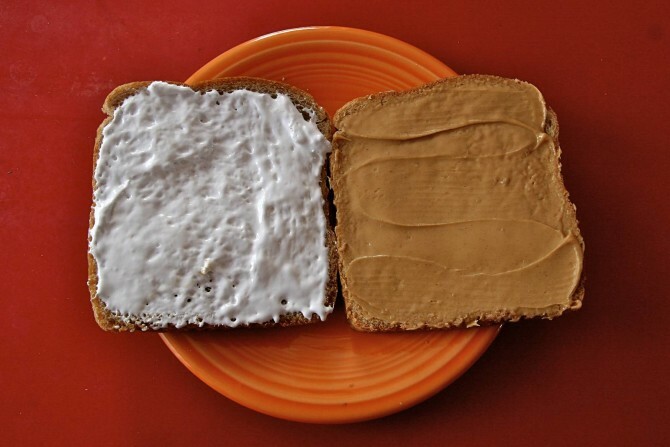 While this is a NE classic, it still is a staple for most childhood memories and school lunches. And if your mom really loves you, she’ll pack these fluffernutter brownie cups in your brown bag. 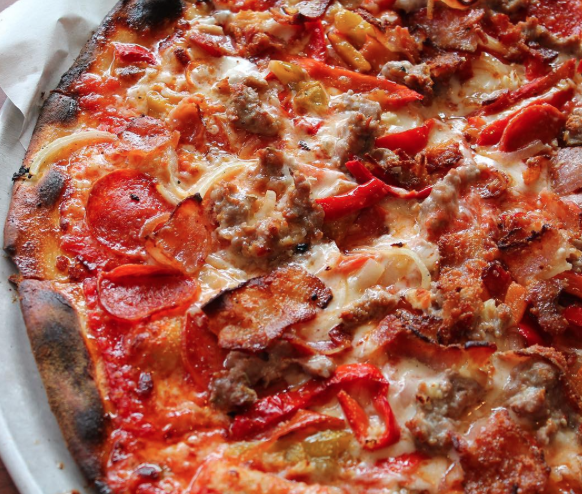 Apizza: pizza originated in New Haven, Connecticut that is Neapolitan-inspired and usually charred on the crust. If you ever get to New Haven, I recommend eating a clam pizza, one of the most famous apizzas. They even have their own New Haven Apizza Fest, jealous much? Ever wonder why Boston is called Beanton? Well, this is why. Now I want 4th of July and outdoor barbecues so I have an excuse to eat these beans, AKA the “magical fruit” because they are just that good. And if you’re now curious as to why beans are called the magical fruit, here’s why. Boston did something right with these. If you’ve never had Vermont maple syrup, then you’re missing out. Brands in the supermarket don’t even compare. 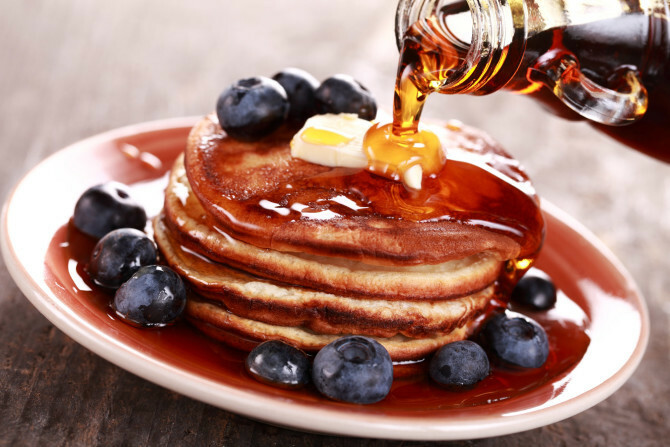 Here are a few maple syrup recipes so you can get your fix. #SpoonTip: Pour some over a fresh blanket of snow and you have yourself a yummy maple syrup slushie. When settlers arrived to New England, they didn’t know what to do with the abundant (yet revolting) crab apples. Solution? Bake them in a pie with lots of butter and sugar. 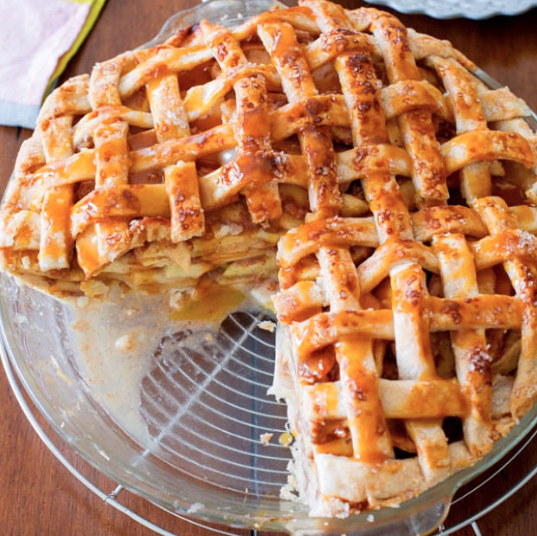 You can get creative and make these apple pies baked in an apple or even apple pie roses – yes, please! 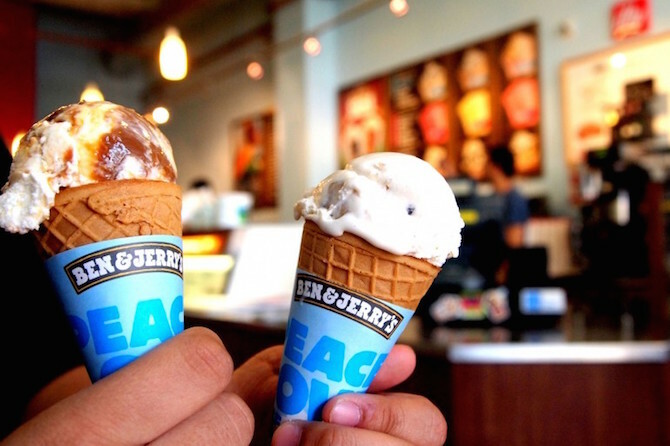 In the famous words of Drake, “you’re my right hand; you’re my go-to.” Ben and Jerry’s will never lead you astray in a time of need. Whether you fail a test or get dumped, these two men will always be there for you. Headquartered in Vermont, this is one of New Englands’ many claims to fame. You can even bake them into your cookies. 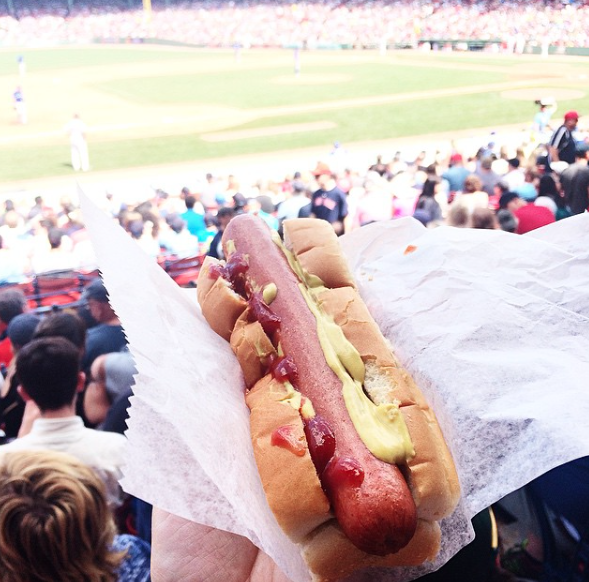 You may be saying this looks like any old hot dog, and that may be true, but if you haven’t enjoyed one while watching a Red Sox game then you wouldn’t understand. Fenway Franks are their own brand in and of itself and taste substantially better than most dogs. Best enjoyed with a tall beer and some cracker jacks on a sunny day, NE really hit this one out of the park (no pun intended). Then again, what ballpark eat isn’t great? 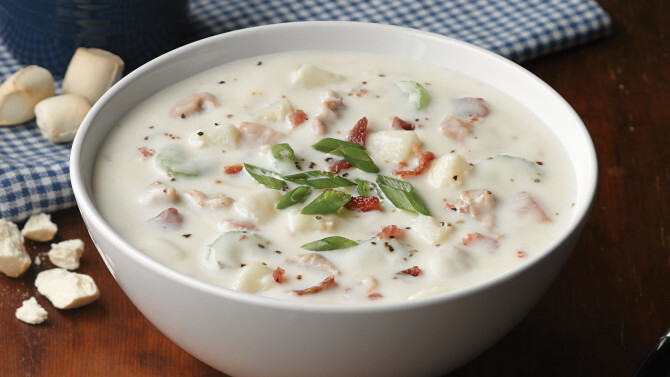 New England clam “chowdah” (yes, that is how you say it), is a shore staple. Chowder variations, which you can learn about here, can be found using all different kinds of shellfish and broths. As long as it’s creamy and filled with seafood, we can be found eating it. 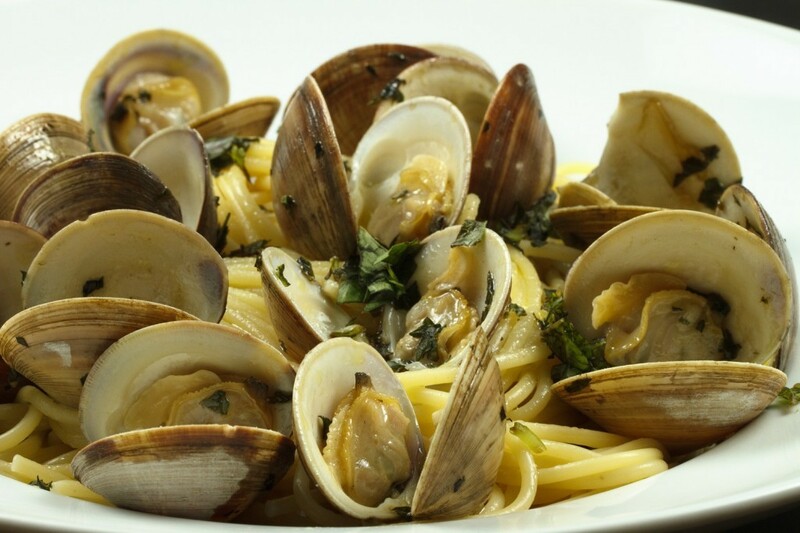 We are not picky with our clams. We’ll take them steamed, stuffed with shellfish, or even turned into a nice little fluffy deep-fried morsel of goodness. 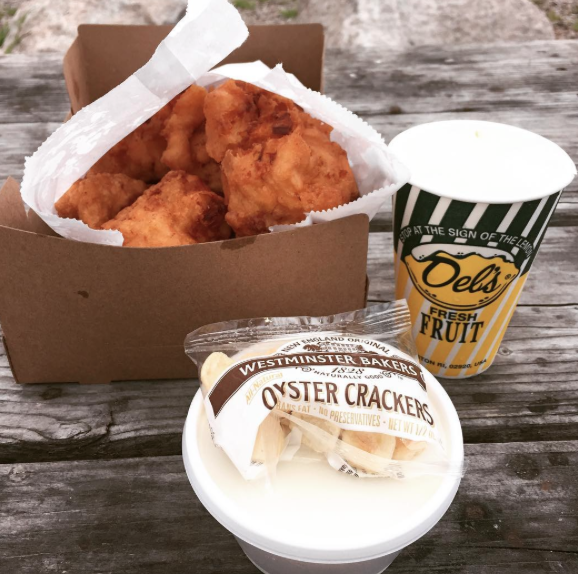 Rhode Island’s claim to fame is their clam cakes that usually are washed down with a Del’s lemonade. And if you’ve never seen the clam licking video, you really need to check it out. If you are not from New England, you’re probably confused and extremely jealous. 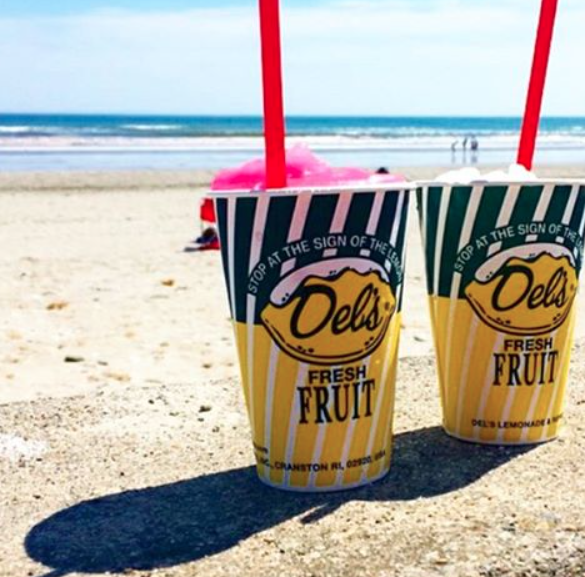 Rhode Island Del’s Lemonade is basically a lemonade slushie. Now they come in different flavors like raspberry, lime and even Arnold Palmer. If you are spending some time on the beaches of NE, you better hunt these down. Most New England children have probably toured the Cape Cod Chip factory one time or another. 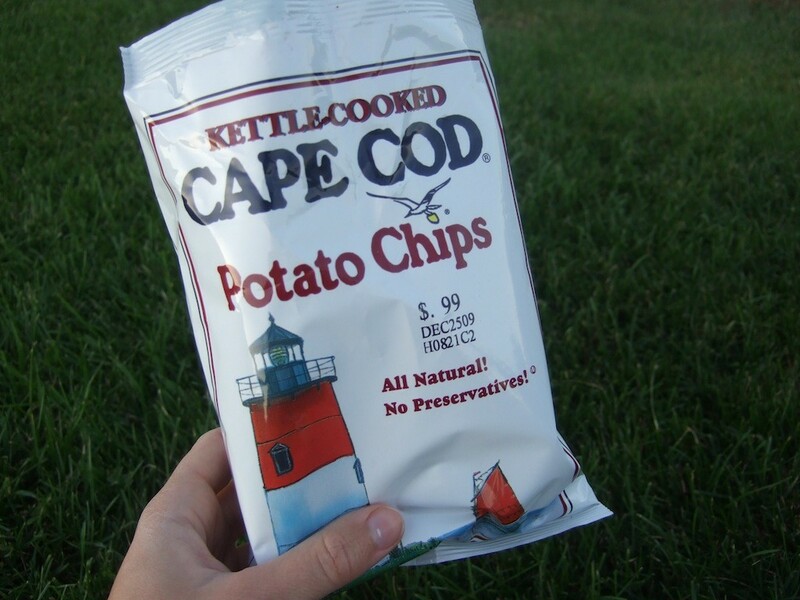 These Cape Cod originals are known for their extra crunch and salty taste. 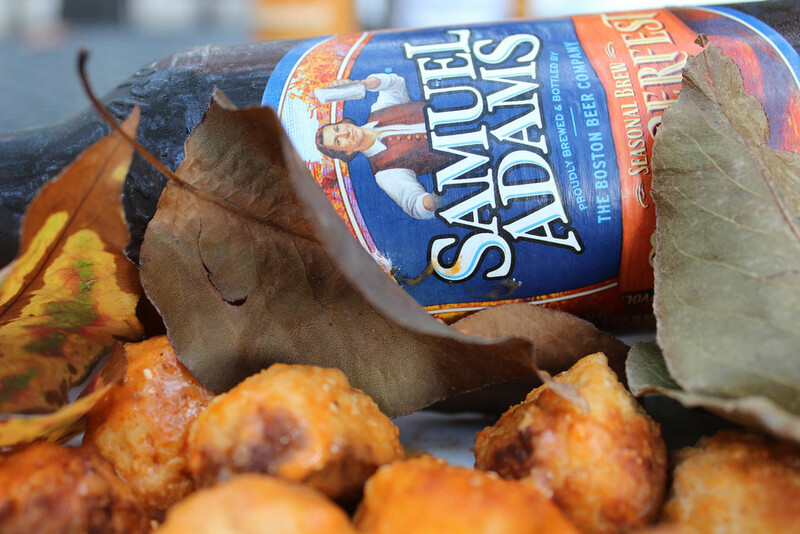 These are best enjoyed with a lobster roll in the other hand. If you ever find yourself on the Cape, you better have some Cape Cod Chips and go to at least three of these restaurants. 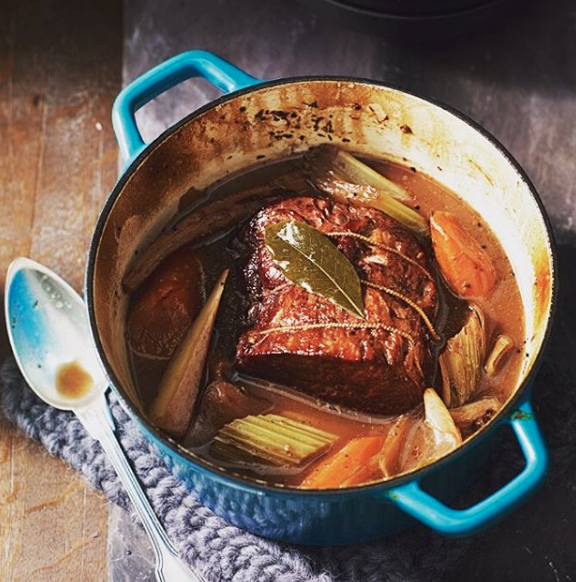 This goes back to the early 19th century traditions of New England, where tough cuts of meat were made tender and delicious. A staple in the winter to get us through the cold months for which the East Coast is famous. I know I’m probably killing you right now and making you miss summer because seafood bakes are just that. Usually everything from clams, lobster, steamers, shrimp to corn and potatoes are placed in a large pot and left to do its magic. 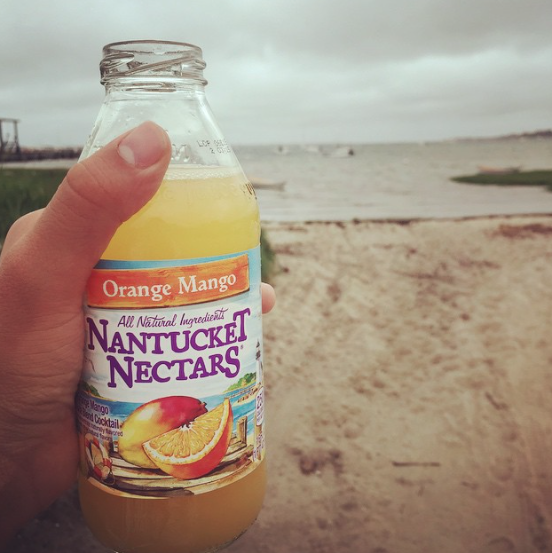 Topped with freshly squeezed lemon, you’ll get the real taste of New England. The name is no lie; this was created in Boston, Mass. Made with two layers of vanilla cake, stuffed with custard cream filling and coated in a rich chocolate, I don’t think there is much more to be said about this beauty. 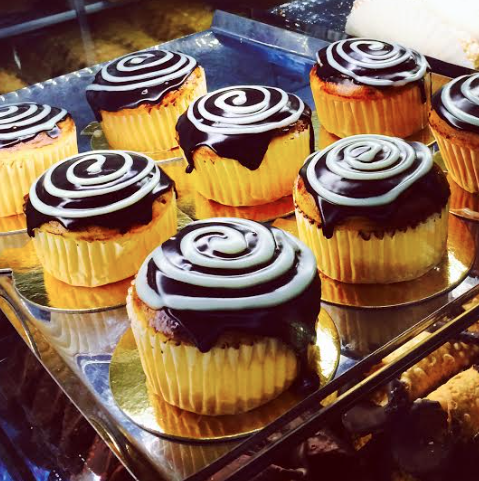 You can even make Boston cream pie cupcakes. 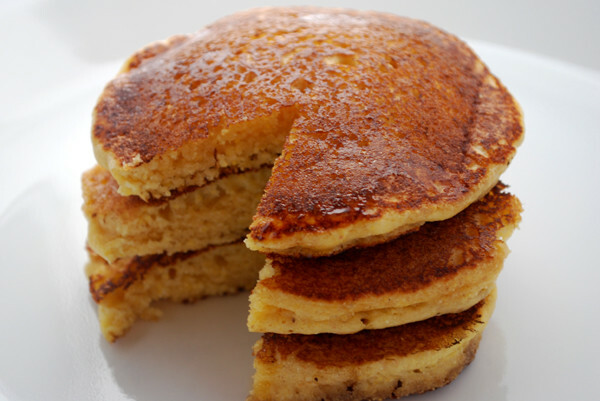 Looks like a pancake, tastes like cornbread. They are said to be the “New England equivalent of tortillas.” I need more of these in my life. Thanks, Rhode Island, for this one. 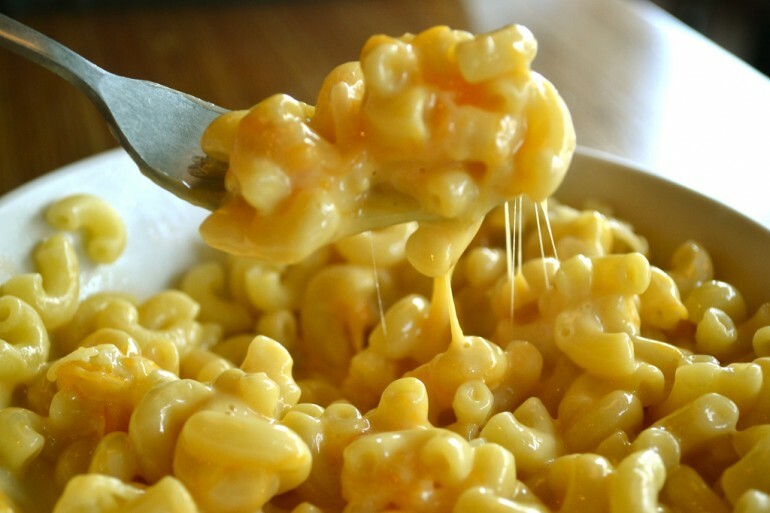 Obviously if I am going to talk about cheese, mac and cheese needs to be mentioned. Vermont cheeses, especially cheddar are known for being perfectly creamy. Here is a little history of Vermont cheddar if you’re into that type of stuff. You should probably make this cheese-encrusted grilled cheese with Vermont cheddar and you’ll understand. Ahh yes fall, my favorite season. I come from a town which used to be an apple orchard so naturally I have apple trees in my yard. But if I donut (get it?) have my apple cider donuts then it’s like fall never happened. 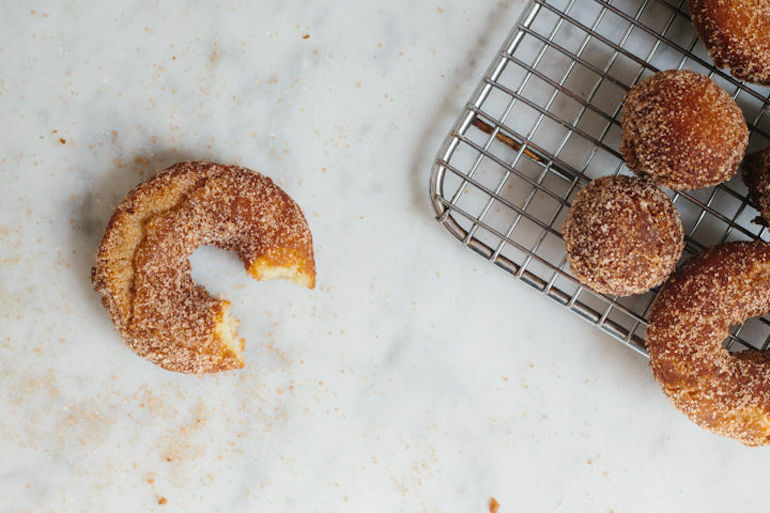 If you really can’t find any, you can make your own baked apple cider donuts. 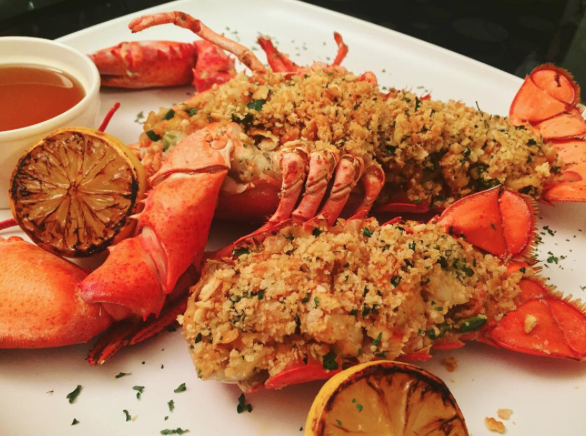 Lobster, oh lobster, you are even better when you are stuffed with yourself and bread crumbs. Usually doused in butter and lemon juice, this takes lobster to the next level. The Ocean Spray cranberry company started in Massachusetts. They were one of the first to make canned cranberry sauce and are also know for their juices and dried cranberry products. 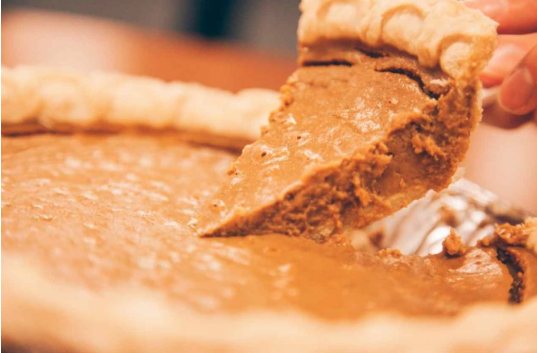 This Thanksgiving staple has a long history that you can read about here. Well, all things pumpkin. 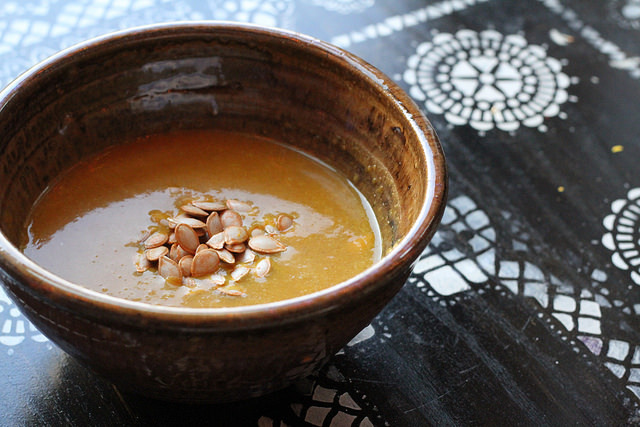 We New Englanders are a sucker for pumpkin; whether it is spiced and frothed or sugar glazed, we grew up loving it. And if you’re like me, your mother definitely made you have a photo shoot in a pumpkin patch. Okay, yes I know I know there is the lifelong debate (Dunkin’ vs. Starbucks), but most New Englanders are loyal to the OG Dunkin because of its hometown roots. 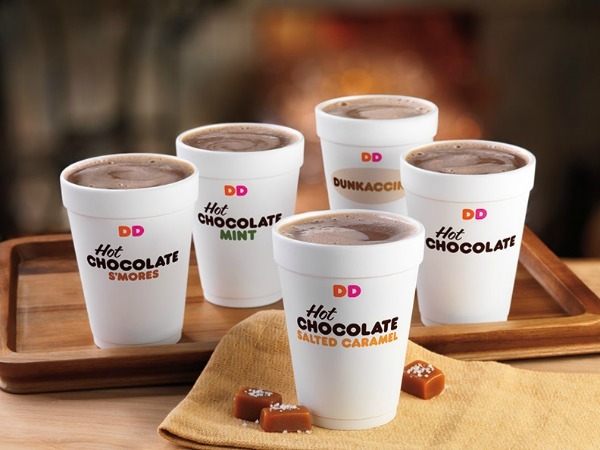 Founded in the Boston area, most of us need our daily Dunkin’ to get the day started. Don’t worry, you’re not the only one with a coffee addiction. 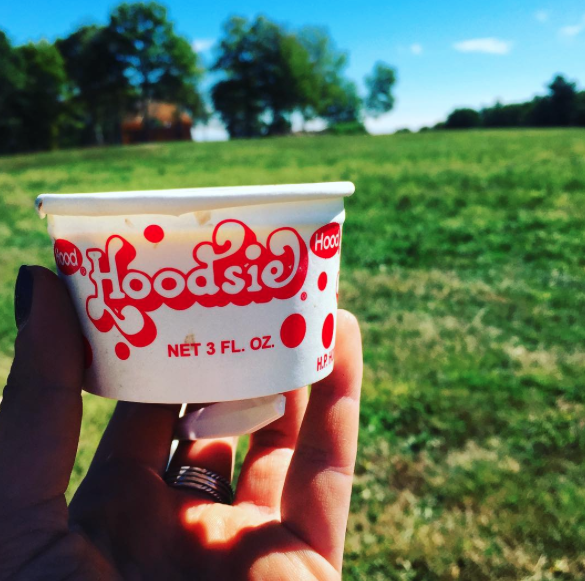 Shout out to my home state of Connecticut for creating these little cups of wonder. For some reason, vanilla and chocolate ice cream never taste as good as when they are served out of these little red and white polka dot cups. Don’t forget about the amazing wooden spoons. You’ll never have to choose between vanilla and chocolate again. Another great Connecticut contribution that gives us another reason to eat a whole loaf of bread. Grinders are best served warm and dripping with cheese, but then again, what isn’t good dripping with cheese? 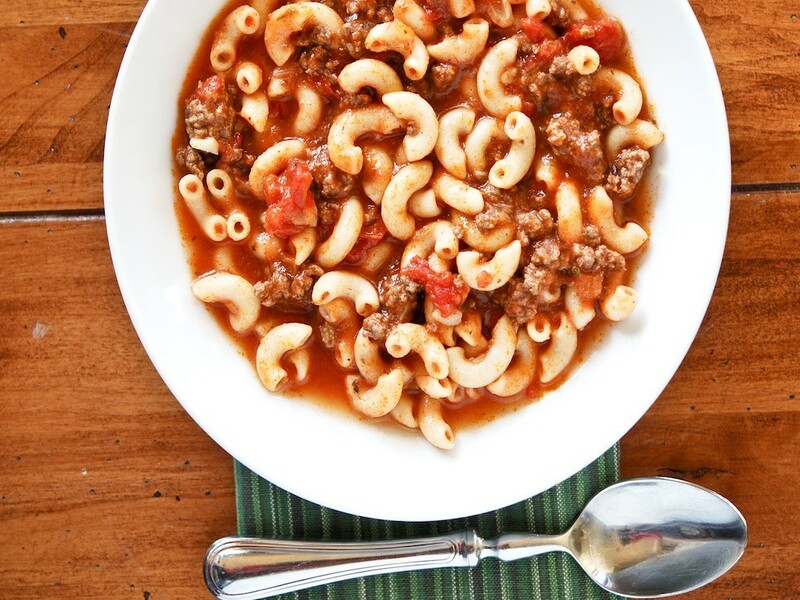 This New England pasta dish is made with elbow macaroni, ground beef, tomato sauce and vegetables. 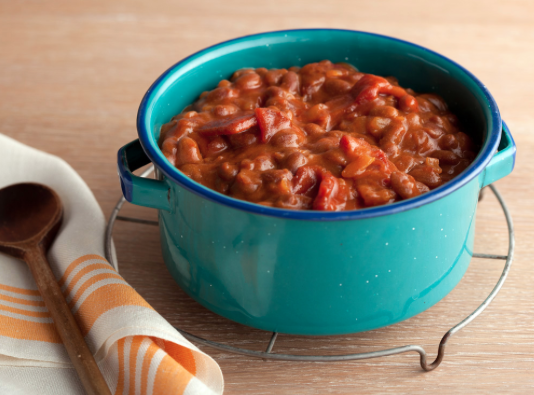 It’s a more country version of a bolognese sauce that is surprisingly addictive. New Englanders you know exactly what I’m talking about, and for the rest of you, here is a pic for reference. 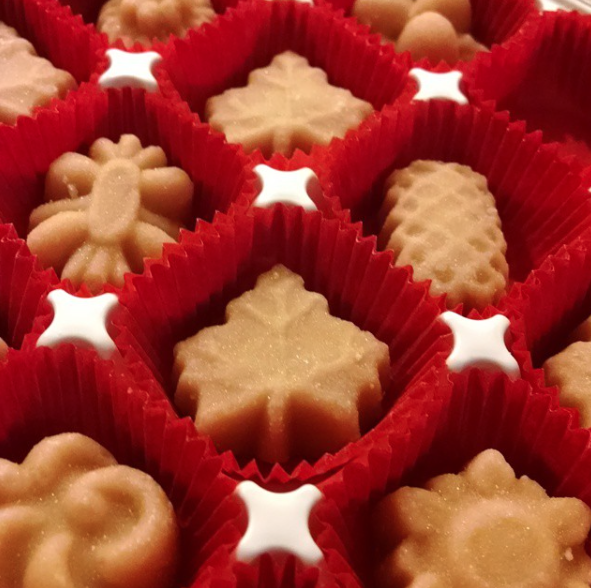 They are only good if they’re made from real maple syrup from Vermont or New Hampshire. Prepare yourself, they are sweet. Here are a few other random maple products Vermont just had to make. Ohhh Maine, we are thankful for you and your blueberries. The wild blueberry is actually Maine’s state fruit, who knew? 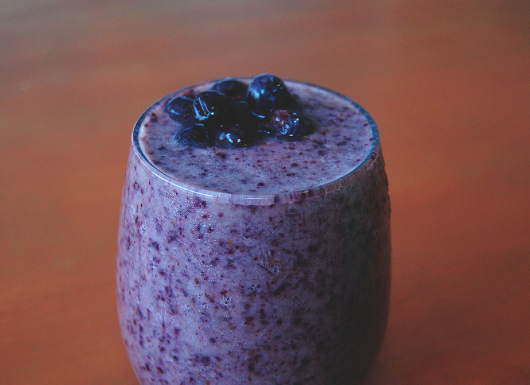 Here are some blueberry recipes if you’re really craving them now. 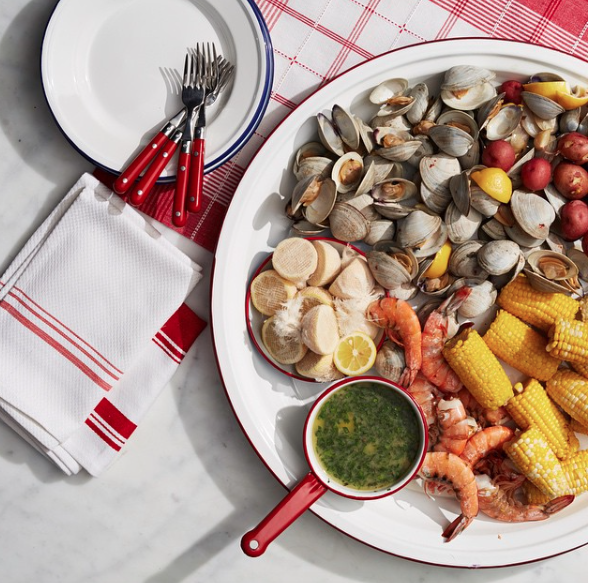 Maine, you really outdid yourself with this one… well, your lobster did. 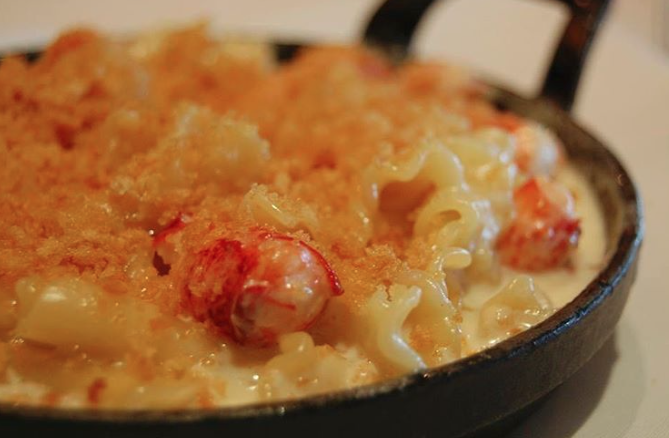 I am a huge fan of mac and cheese (here is a mac recipe if you need it), but if you’re going to be so kind as to add some lobster in it, then I’m really a fan. Whoever thought seafood and cheese would work so well together? I now know they do. 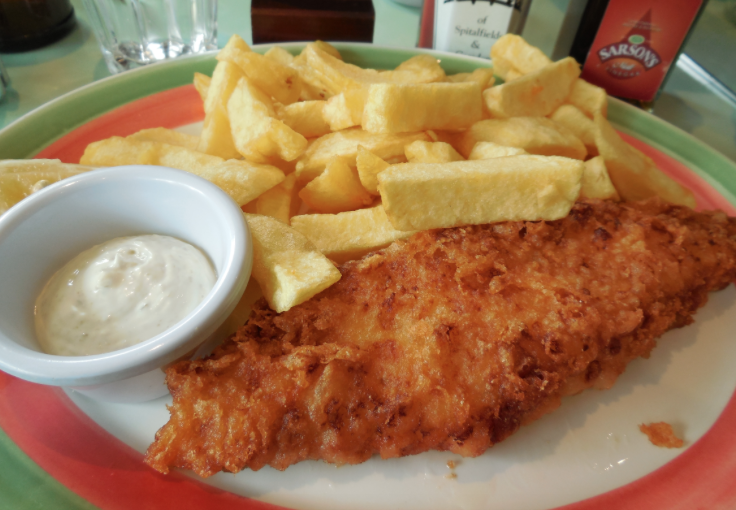 This may be a British dish but I can’t remember going to the beach and not seeing this on the menu. This is a real “stick to your ribs dish” but if the fish is fresh, then there’s nothing like it. If you’re ever in NE and want to try some fish and chips, here is a great place. You probably don’t know this, but the butternut squash we know and love comes from Massachusetts. It’s best served in soup form, obviously. Here is a recipe so you can make some yourself. 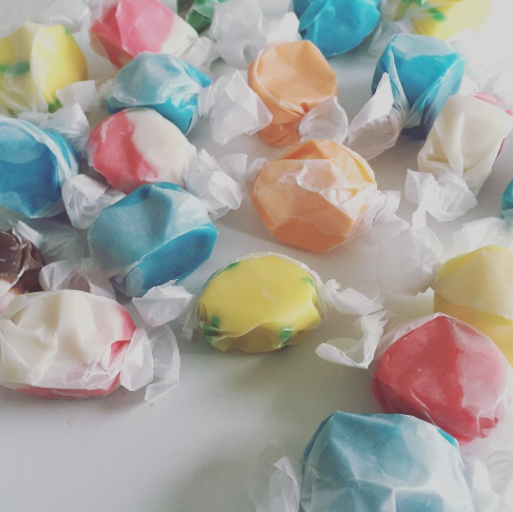 Whether you’re on the Cape, Martha’s Vineyard, or even up in New Hampshire, you can find these everlasting chewy candies. They come in a variety of flavors like cherry and buttered popcorn (yeah, idk how I feel about that either). Your best bet is getting a large variety box of these and eating them in the car ride home. Fair warning: there may be a pile of paper wrappers on your windshield by the time you get home. The best juice around, not just in New England. Best consumed in a lounge chair with your feet in the Nantucket sand. Thanksgiving doesn’t have to be once a year. 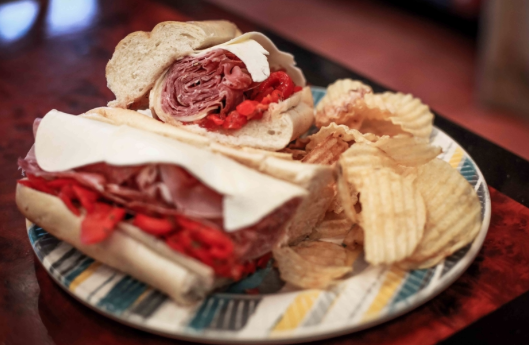 In New England, a lot of restaurants (the best ones) have Thanksgiving sandwiches on their menus. 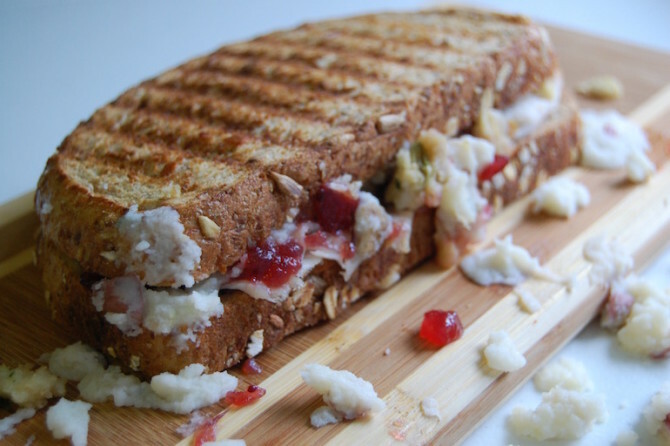 Here is a recipe for this amazing sandwich if you are having a craving. Yes, I know everyone in America celebrates Thanksgiving but there is only one Plymouth Rock and it is located in NE. Thanks pilgrims, we owe you. If you don’t know what this, is I feel seriously bad for you because the Waffle Cabin is the sole reason I ski. 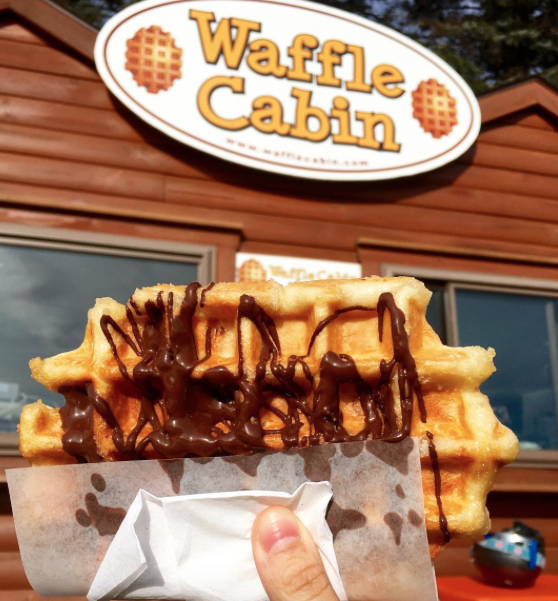 Created in Boston and now located at almost every ski mountain, these Belgian sugar waffles smothered in chocolate sauce are a serious treat and worth every freaking calorie. Waffle Cabin is not the only one who knows insane waffle iron hacks. Another one of Massachusetts specialties, or should I say talents, is their lovely Samuel Adams beer. They have a variety of flavors from OctoberFest to White Christmas. All you beer lovers have NE to thank for their specialty beer creations and Spoon to thank for these beer pairings. 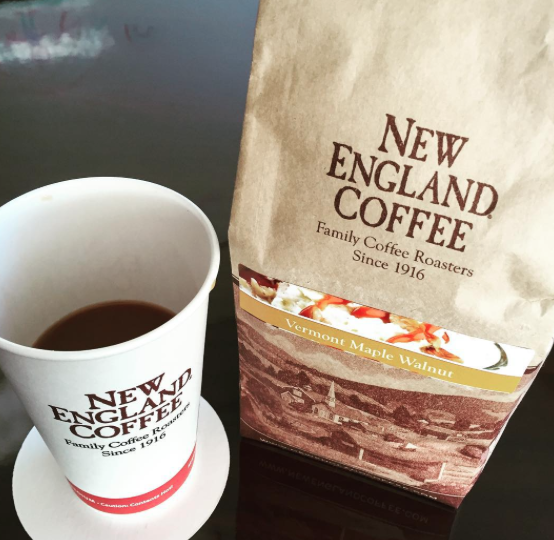 New England is so great that we even have our own coffee brand. Even better, they make coffees inspired by our states like this Vermont Maple Walnut flavor. These creative coffee recipes would probably taste even better if you used our NE coffee. You’re probably really confused what this is and why we are not talking about pigs (you wish). This is actually a type of clam. Rhode Island supplies about a quarter of the nations clam variations. Go Rhode Island! I’ve saved the best for last. 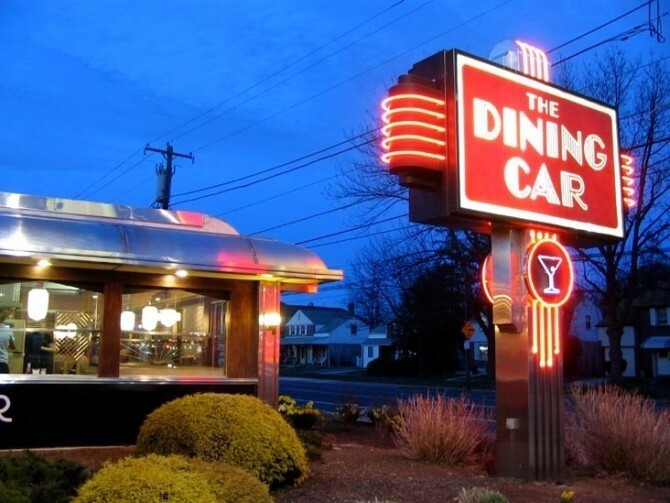 Did you know that the first diner was actually in New England? In 1872, in Providence, Rhode Island, a man started selling food out of his horse-drawn wagon. Is anyone else thinking food truck? Food horse wagon? Not sure what to call it, but it led to the creation of the diner (24-hour ones are the best ones) that we love. Thanks, New England. We don’t know what we’d do without you.